A STOLEN ute involved in a fuel theft remains outstanding as police seek two suspects. 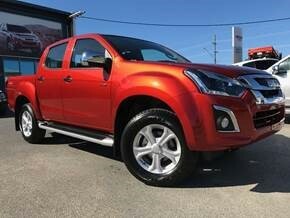 Police reported an Izuzu D-max dual cab ute was stolen from Moree in NSW on Tuesday. The burnt orange ute, with Victorian registration 11D 8UX, was driven to a Goondiwindi service station where the driver has filled it with fuel about 6.23am and driven off without paying. A witness described the offender has male, aged in his early 20s, about 170cm tall with a slim build and hazel eyes, with light brown hair. Police said the witness saw a second man in the vehicle at the time.